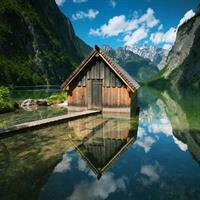 Northern Europe is comprised of Denmark, Finland, Iceland, Norway and Sweden, Land of midnight Sun, glaciers and Vikings. Warm sun, the influence of the Mediterranean, the Greek and Roman culture, the amazing sea food, the wine, the people. Stop looking for reasons; just go. Stavanger is the capital of southwestern Norway, the fourth-largest in the country and is known as the "Petroleum Capital of Norway" because of its strategic position, near the North Sea oil fields. Stavanger natural surroundings are really picturesque, with chilly beaches, deep-blue fjords and imposing mountains as background. The city centre opens in the colorful Vagen harbor. From here you can travel to the Kvitsoy islands to admire the magnificent Pulpit Rock in the Lysefjord. Stavanger's origin is related to the oldest cathedral in Norway, built starting 1125. 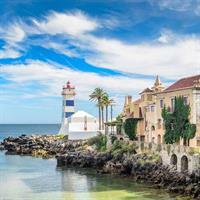 It is a city of contrasts, a unique mixture of old and new, with narrow streets and wooden houses, but also modern shops, restaurants and galleries. Besides, the recreation areas nearby the lakes Breiavatnet, Masvatnet and Stokkavatnet could complete a perfect vacation in Stavanger. Situated in the fjord country, Alesund is spread over seven islands on the western coast and offer the picturesque background of the Sunnmore Alps. It is definitely a unique city to see. The wooden buildings were completely destroyed in 1904, but the city was rebuilt in stone, brick and mortar, in an even more beautiful style - Art Nouveau, known as Jugendstil. The medieval romantic facades include specific elements from the Nordic mythology. The surroundings offer a splendid natural seascape, with the unique fjord of Geiranger, added to the UNESCO list of World Heritage Sites. Alesund is accessible by plane from Oslo, Bergen, Trondheim or Copenhagen; the islands are interconnected by roads, but also by a subsea tunnel. Alta is the communication centre of the largest and less populated Norwegian region - the extreme northeast Finnmark. 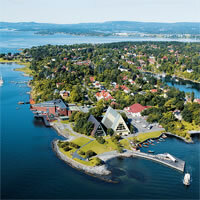 It can be easily reached by plane directly from Oslo or by highway. The local culture and traditions are a mixture of Norwegian and Lappish (Sammi) culture, as Alta belonged for many years only to Northern Scandinavia indigenous people and was under Finland's administration. 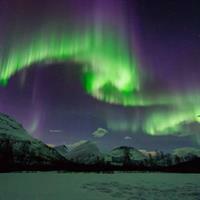 Alta offers magnificent natural sites and views, being the perfect place to enjoy the unique aurora borealis. Take your time to admire the Altafjorden, the large canyon carved out by the river Altaelva and the prehistorical rock carvings nearby - the former being a cultural heritage protected by UNESCO. The administrative center of the Rauma municipality is the small town of Andalsnes, which could be considered a very unfortunate location. 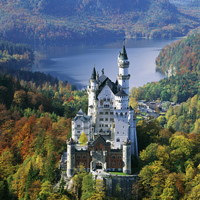 It served to the royal family in their escape from the Nazis' invasion in 1940 and it was destroyed by bombs. Reconstructed piece by piece, Andalsnes is nowadays a modern town, visited by many tourists mainly because of its position. It is the starting point of Trollstigvegen, a motor way through a splendid mountain pass, that heads south; it is continued by another scenic route, named Orneveien (Eagle's Road), in the way to the Geiranger fjord. Close to Andalsnes, you can admire Trollsveggen, the highest vertical cliff in Europe, a true challenge for any climber. It can also be admired from one of the most scenic railways in Norway, which passes it back and forth through 180 degrees tunnels. Considered "the town of all towns in Norway", Bergen is a great city with tradition and one of the most important economic centers in Norway. 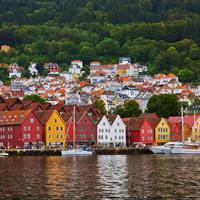 The famous hanseatic wharf of Bryggen will meet the tourists coming here by sea; tradition is the key-word in Bryggen, rebuilt in its initial form after many fire destructions; that's why it was named by UNESCO a World Heritage City. 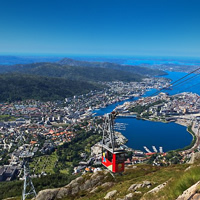 Bergen's natural scenery is amazing: the surroundings seven mountains offer scenic views and are accessible either by cable car of funicular railway; the unique fjords: Hardangerfjorden, Sognefjorden, Geirangerfjorden - invite you to a breathtaking boat trip. 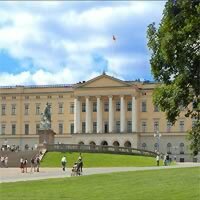 Bergen is also a cultural city and the splendid houses - today museums - of the famous composer Edvard Grieg and violinist Ole Bull are living proofs. 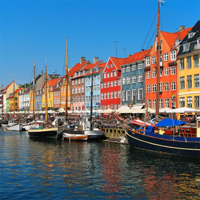 Explore beautiful northern Europe and its enchanting cities with this totally customizable vacation package: begin in Oslo (a beautiful, walkable city situated on a fjord and filled with museums, parks and urban districts) and then take the train to picturesque Bergen. After a short stay fly away to Stockholm, (with its stunning and well preserved medieval Old Town, parks and charming waterways) and lastly, visit Copenhagen (another favorite walking city in Europe, it is cozy and refined - with eye-catching architecture, city parks and the wistful statue dedicated to Hans Christian Andersen`s `The Little Mermaid..` the hallmark of the city!). This is a flexible vacation package. Select your number of nights in each city, desired hotel and activities. Visit Stockholm, Oslo, Lillehammer and Bergen. The trip was completely great. Good hotel locations and choices! Everything went very well!